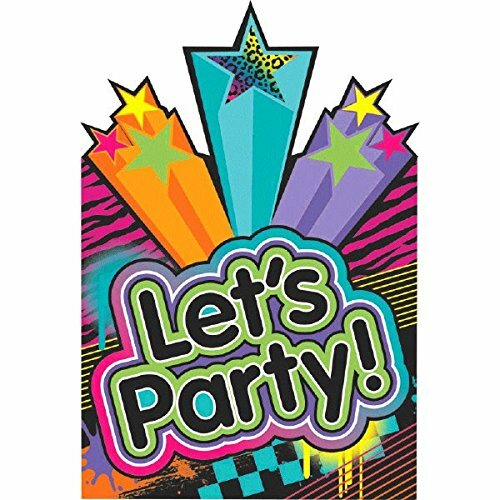 Quite possibly, the best online range of invites in a digital format can be found at Etsy, and they deliver worldwide - just change your currency at the bottom of their website. Most of these can be downloaded digitally. You can then print as many as you need using your own printer. Above are just four examples of the hundreds of designs available. 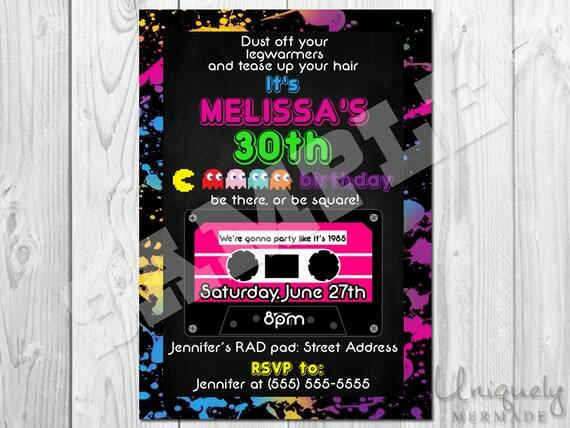 Whatever 80s style you're looking for, you're likely to find it at Etsy. 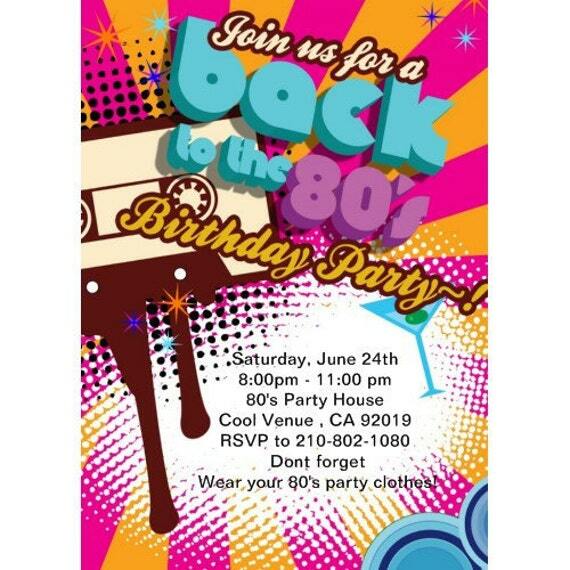 If you prefer a more traditional, ready-printed set of invites then try Amazon. However, the range of designs is very limited compared to Etsy. Firstly, here are the designs I discovered at Amazon.com (US). Some different designs are available at the UK site. 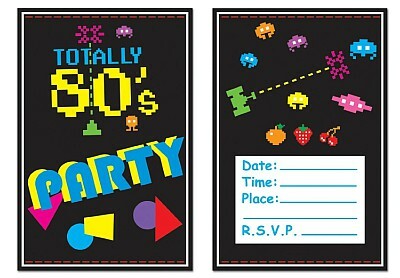 I particularly like the "Let's Party" invites which certainly grab your attention! 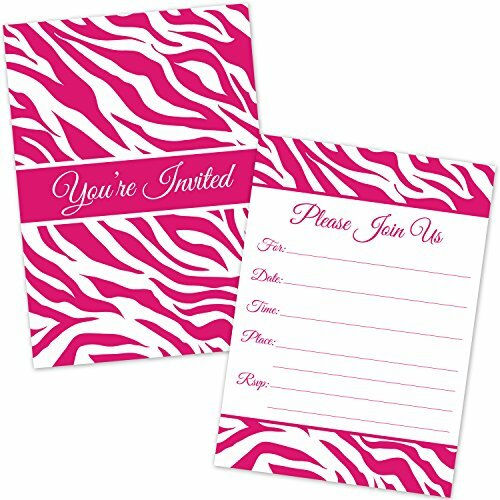 For quirkiness, the pink zebra stripes are a winner. 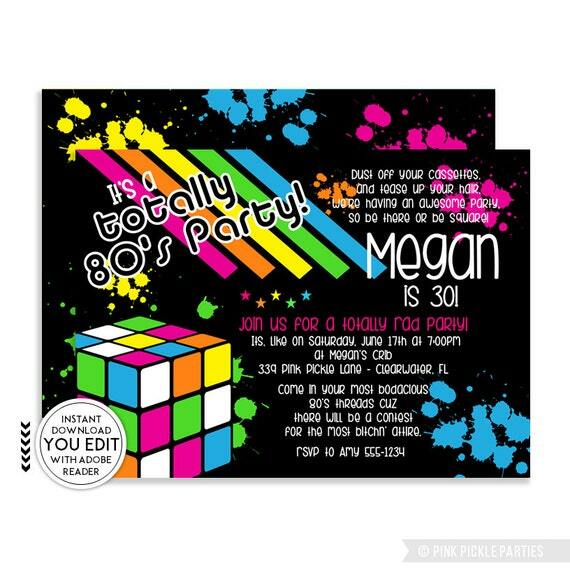 The biggest range of printed 80s invitations can be found at Zazzle. 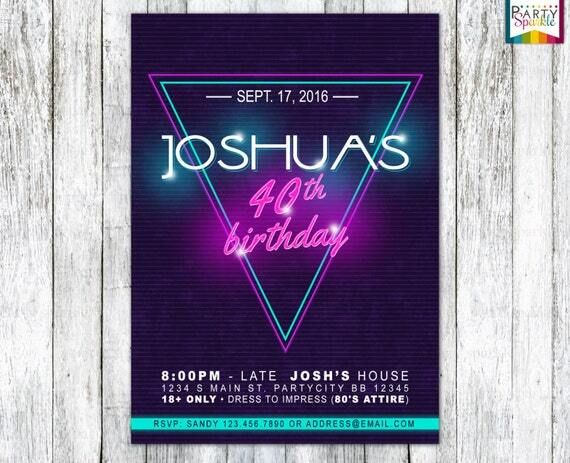 They are priced individually and have just about every design you can think of. Although more expensive than buying a multi-pack from Amazon, you receive a more unique design that you can really impress your guests with. Below are just a few of my favourite designs available at zazzle.co.uk. However, you can order from across the globe by changing your currency on the site. 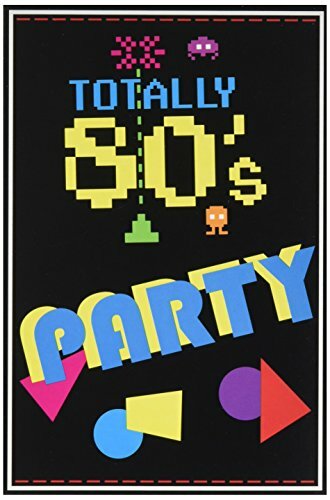 Well, I hope I have helped you find some decent sources for 80s party invites. 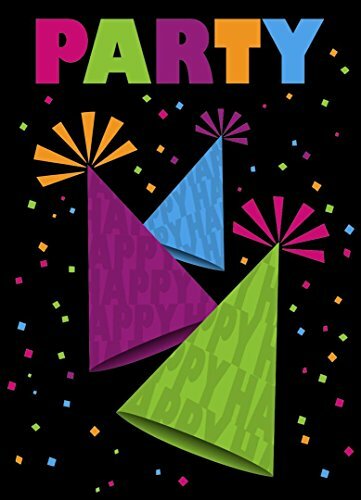 May I wish you every success with your party.